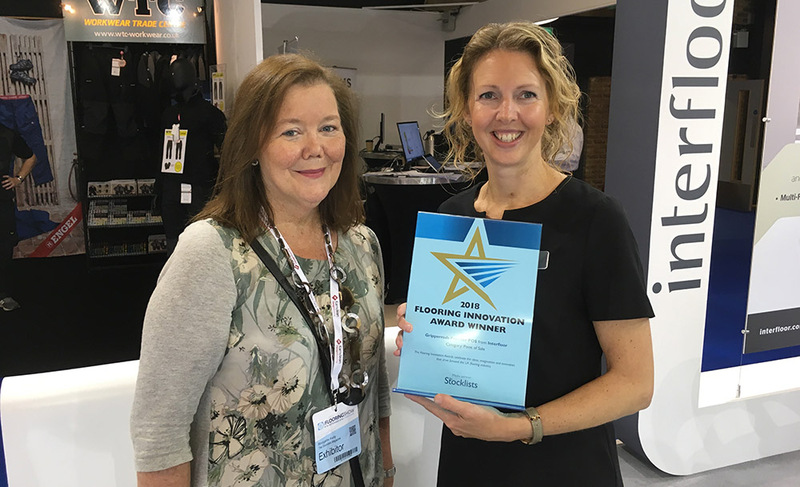 Interfloor was proud to have its products recognised in the inaugural National Flooring Innovation Awards, demonstrating its commitment to delivering new and exciting creations into an increasingly competitive marketplace. The awards scheme is designed to celebrate the ideas, imagination and innovation driving the UK flooring industry to new heights. There were over 100 submissions in categories ranging from carpets to underlay to point-of-sale. In the underlay category, one of Interfloor’s new class of Premium High Density (PHD) products Tredaire Palladium was named a winner. Interfloor introduced its highest density PU underlay range in response to market demand for firmer and more luxurious products suitable for use in all areas of the home as well for contract installations. One of the three products in the PHD range, Tredaire Palladium 10mm was recently relaunched in response to customer feedback. Tredaire Palladium has high performance Textron backing to give it more dimensional stability and cleaner cutting during installation as well as exceptional ‘shock absorber’ properties to help give it a longer life. It has superior heat insulation properties and high acoustic ratings to reduce noise. It has a nominal density of 180kg/m3 and offers superior protection for carpets that is longer lasting and better performing. Palladium is also made from 100 per cent recycled foam, giving it excellent “green” credentials. The National Flooring Innovation Awards were sponsored by industry magazine The Stocklists and designed to be different from the usual ranked prize schemes, setting out to identify products and services that are genuinely new and exceptional. The judging panel also included Chris Moffat of SMG, Martin West, ex-Kingsmead and now MD of William Armes, Deborah Barker, editor-in-chief of Homes & Gardens and 25 Beautiful Homes, and David Spragg, editorial director of The Stocklists.